In pursuit of growing local economies, communities are turning to a focus on economic development within defined corridors or districts. Corridor/district development is a strategy that integrates place-based community development strategies for housing, transportation, infrastructure, and amenities with economic development strategies for business and workforce development within defined geographic areas. Camoin Associates in partnership with Innovation Policyworks recently had the opportunity to work for the Newton-Needham Regional Chamber—which serves the communities of Newton and Needham, Massachusetts, two of Boston’s inner suburbs—to complete an Economic Development and Marketing Strategy. That work led to a twist on corridor/district development with a third focus on innovation. It identified the opportunity for the area to become more than just a redeveloped office park or series of business properties, but rather to achieve the vision of an innovation district where talent, innovation, and community converge to support a vibrant, entrepreneurial economy, a model for the integration of economic development, placemaking and social networks. It resulted in the creation of the N2 Innovation District (video: N-Squared Economic Development Project presentation). The N2 Innovation District is home to an increasing number of innovative businesses—new and established, large and small. It features a mixed-use community with retail, office space and open space integrated with housing and nearby transit, providing an affordable and desirable place to create, prosper, and adapt to an evolving business climate. The N2 Innovation District will become increasingly recognized as a destination for investment by innovation-driven industries and will enhance the quality of life in the Newton-Needham region by providing employment, tax revenues, and educational, entertainment, recreational, and cultural amenities. The N2 Innovation District fits within the spirit of the framework set forth by the Brookings Institute in its 2012 report, The Rise of the Innovation District: A New Geography of Innovation in America. Brookings indicates that there are several components of an innovation district including sources of innovation from anchor institutions such as universities, large companies, or entrepreneurs; a skilled workforce; vibrant communities; and adequate physical infrastructure, including telecommunications, appropriate roads, and alternative transportation. Furthermore, all of this must be grounded in an innovative culture—one that is diverse, supportive of creativity and failure, and highly collaborative. The N2 Innovation District is in its infancy, and work is underway to implement the vision through the guidance of a public-private Task Force with support from the Newton-Needham Regional Chamber, the Town of Needham, and the City of Newton. To help N2 better understand the challenges for implementing the vision, I had the opportunity to examine and research a corridor that has been in place for several years, Cleveland’s Health Tech Corridor (HTC). 100 gigabit Internet access from OneCommunity. 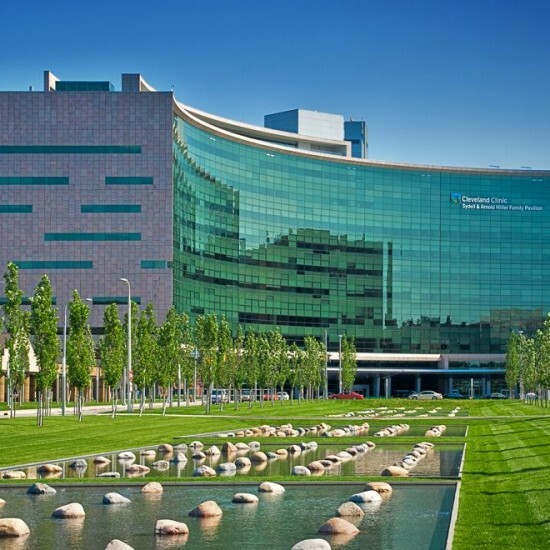 This growth is continuing to this day as a new medical school facility is currently being built through a collaboration between Case Western Reserve University and the Cleveland Clinic. Initially the HTC was a City initiative and a loose collaboration among partners. No formal organization existed. This created an early challenge as the multiple organizations each had different missions, and success requires collaboration and focus on implementable projects. It became evident to the partners that there needed to be at least one full-time person within one entity to oversee the mission of the collaborative. To start there was only one part-time staff person, but this was not enough to get the job done. Today organizationally, work is carried out by one full-time staff person housed within Midtown Cleveland, and a board consisting of all the HTC partners. The board is advisory and helps provide guidance and information to HTC. HTC is in process of hiring a second staff person to serve as program manager. Plus, they contract out for services as needed, such as web development. Their budget over the course of a two-year cycle is approximately $500,000 and is made possible by funding from the Cleveland Foundation. So what did I learn from the N2 process and analysis and through additional research and exploration into the HTC in terms of adopting and implementing a corridor/district development approach to economic development? The HTC is built primarily around the regional strengths of biosciences, healthcare, and healthcare technologies, while N2 is attempting to incorporate the broader concept of innovation along with regional strengths in IT, life sciences, real estate, and professional, scientific, and technical services. However, much can be learned based on similar challenges and opportunities that can help economic developers who may consider taking a district/corridor-based economic development approach in their communities. Districts/corridors are a holistic system. All components need to be understood, nurtured and brought together: place/community (housing, transportation, infrastructure, place-based amenities); economic (businesses, workers, market, workers); innovation/entrepreneurship (R&D, technology, commercialization) must each be given adequate attention including their interactions. This requires multi-disciplinary and diverse partners. Catalyzing transportation projects and improvements are necessary. Transportation systems were initially built around the industrial economy. The knowledge, networked, and entrepreneurial economy requires new investment in multiple transportation modes. Transportation was a major issue identified in the N2 planning process by all stakeholders and improving the transportation system for workers, residents, and commuters is seen as essential to the the future of the district. Employment is regional and people need to easily and affordably get to and from work and conduct business within the district. Transportation system improvements including commuter rail and the Healthline Rapid Bus system served as a catalyst to the HTC growth. Workforce housing is necessary and a significant challenge. Transportation can help move commuters from work to home but demand exists for housing closer to the workplace and integrated within commercial and retail areas. Zoning and land-use regulations must be updated to enable the new economy, and local acceptance for new housing for all levels of workers must be part of the culture. Housing, along with transportation and education improvements, will help address a major challenge that still exists with this approach to economic development: economic growth while improving equity and economic inclusion. Creation and fostering of networks of innovators, entrepreneurs, and connectors is a major challenge and cannot be easily planned for or engineered. Strong networks rely on communications to build trust that lead to creative collisions. They must emerge organically over time but are supported and enabled by high-quality, connected places. This also requires understanding the tradeoff and need for balance between large anchor institutions – large companies, businesses, education, and research centers – and individual entrepreneurs and small businesses. Both are necessary for a strong network, but integration of the interests of both large and small entities can be difficult to achieve. Building a shared identity for the corridor/district fuels the network. Coordinating partners, maintaining focus among multiple missions, and developing a focused brand among many different/strong brands of the partners requires openness and commitment. Each of the partners has separate missions, identities, brands and markets that must be maintained but also integrated into a brand for the district/corridor. District/corridor-based economic development requires allocation of significant personnel and financial resources. Success for all of this requires a lot of work maintained over a long period of time. Therefore, it is important to have staff and resources dedicated to overseeing the implementation of the mission and work plan of the initiative; otherwise, the work will take a back seat to the missions and work of each individual partner. Therefore it is essential to have a dedicated and sufficient budget to carry out the work. Must be led by innovators. The organization(s) that manage this process and projects (chamber of commerce, municipalities, institutions) must themselves be innovative to build trust and to design and implement transformative offerings for the market. This includes adopting innovative approaches to planning, governance, funding, marketing, and communications.